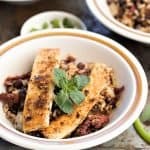 Crispy Cuban Tofu Rice and Beans. Spicy,crispy incredibly delicious. 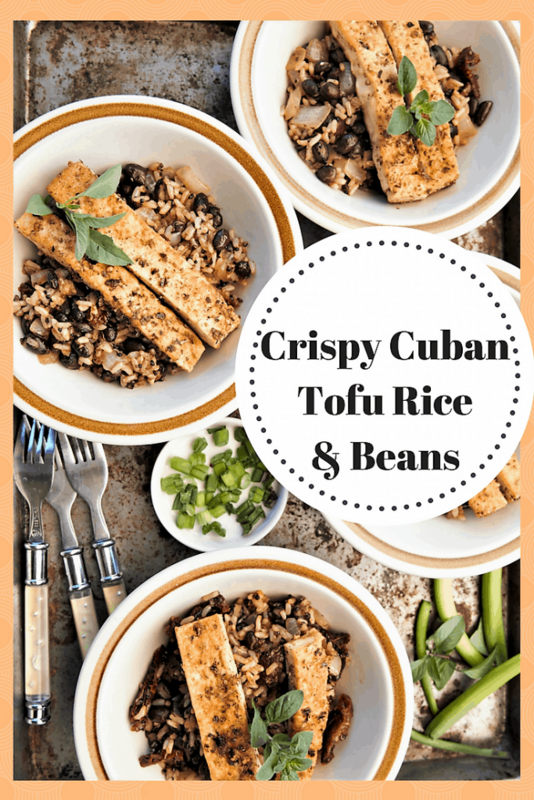 Crispy Cuban Tofu Rice and Beans. I wanted the description to accurately describe this delectable dish. 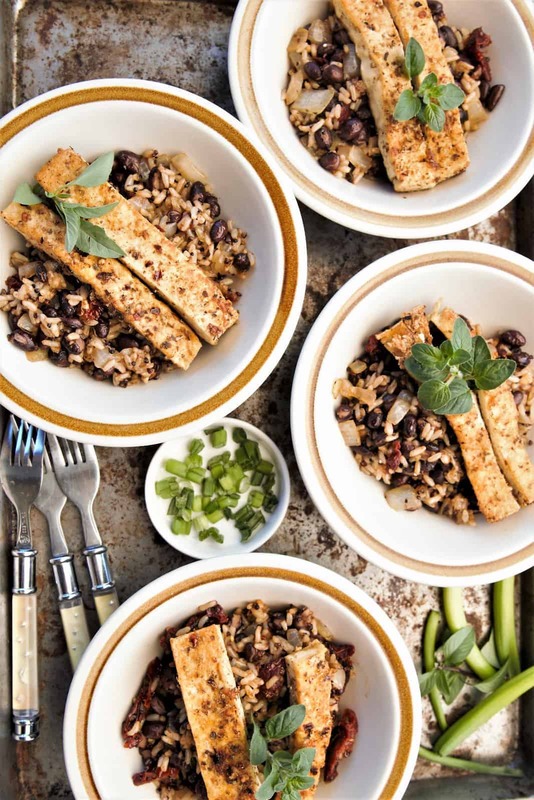 Crispy tofu is the best, toss in Cuban spices, and top it all off with black beans and rice. Yes, it is as good as it looks and sounds. This meal takes only 30 minutes, and will definitely satisfy your hungry crowd. If your crowd isn’t that big, is perfect for left-overs as well. Vegan, gluten free, dairy free. Drain tofu well, and squeeze water from tofu with towel. 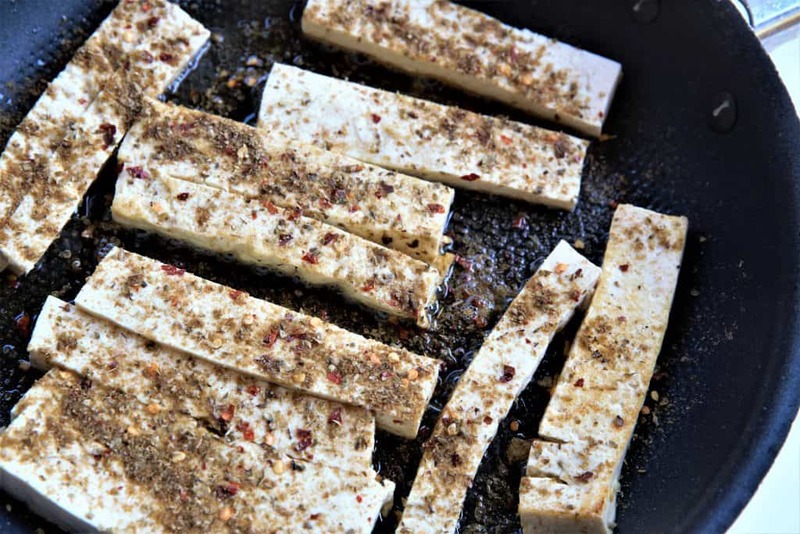 Slice tofu into strips. Add oil to pan and place tofu strips in pan on medium high heat. Mix all spices together in a cup. Sprinkle 1/2 of spices on tofu in pan. Cook tofu for approximately 5 minutes on each side until you get the crispy effect that you want. Remove tofu from pan when cooked. Add onions, garlic, rice, sun dried tomatoes and beans to pan. 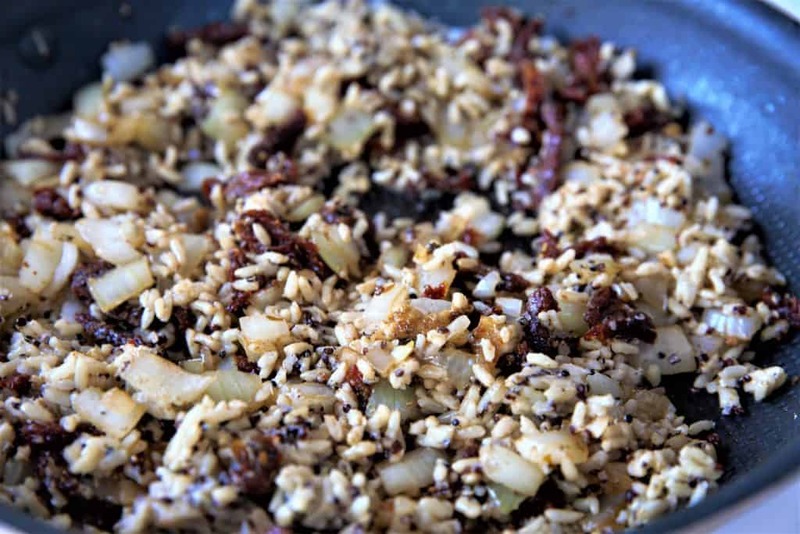 (Add additional oil if needed) Saute on medium heat until onions are tender and ingredients are heated, approximately 6 minutes. 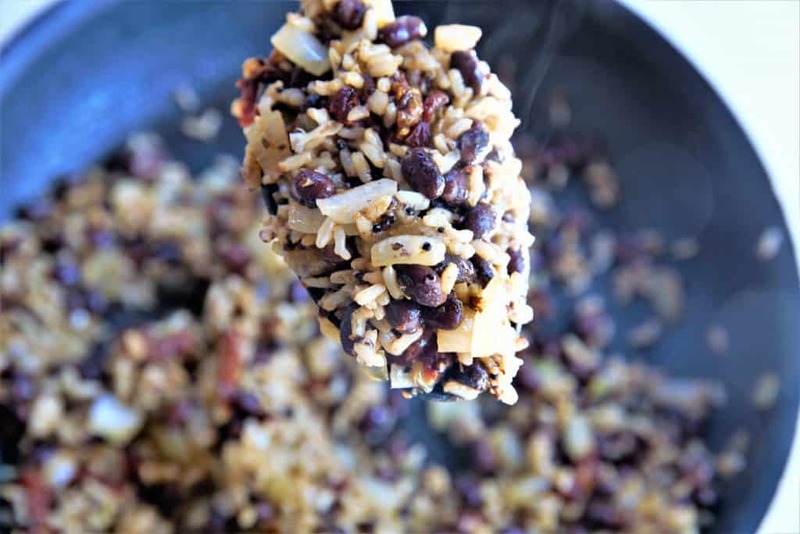 Remove rice bean mix from pan and place in serving bowls. Top with tofu strips. 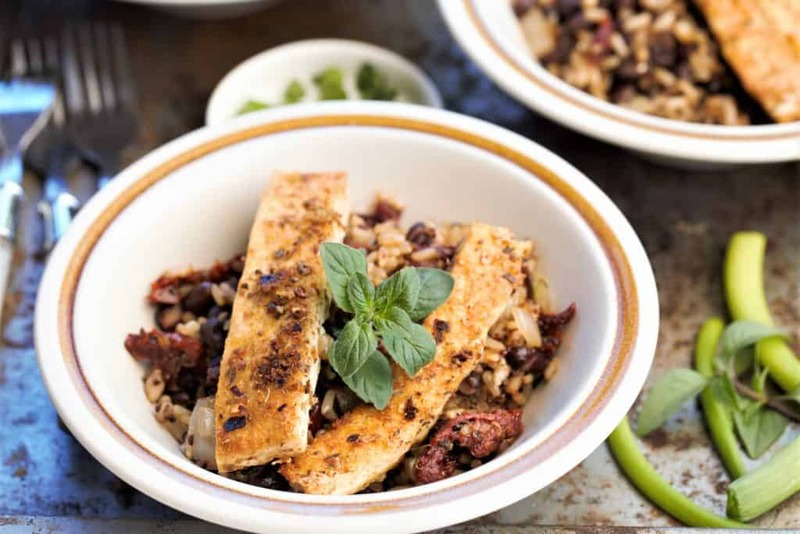 (You can add the tofu directly into the rice bean mix, but it will crumble) Garnish with fresh oregano.